The new head of Novartis UK thinks the country has gone backwards in terms of access to medicines, and says his company is moving towards ‘payments for outcomes’. 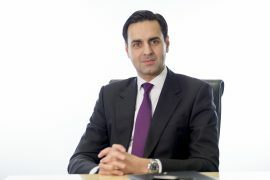 Haseeb Ahmad is the new managing director and country president of Novartis UK, having just taken up the post after several years in charge of Merck Sharp & Dohme’s (MSD) operation in Greece. Taking on the Novartis role in February was a homecoming for Haseeb, as he is British, but he says he’s been alarmed to see how access to new medicines in the UK has deteriorated since he’s been abroad. This is so marked that the problems around access to medicines in England even remind him of the austerity measures in Greece. “I’ve been dismayed at how things have changed in the UK – patients are really missing out,” he tells me. While it may be dominating all political and economic discourse in the UK, including the ongoing general election campaigns, Brexit isn’t the pharmaceutical industry’s biggest concern for the country. The greatest issue for pharma is instead the continuing squeeze on market access for new medicines in England, and the growing financial crisis in the NHS, which is affecting medicines use. (It should be noted that Brexit isn’t a completely separate issue – its uncertainties and likely economic impact are making the government more cautious on spending). This belt-tightening notched up a level from 1 April, when a new ‘budget impact test’ was introduced by NICE and NHS England. 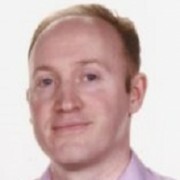 UK pharma industry association the ABPI and its members had all opposed the move, which gives NHS England a chance to delay or restrict access to any NICE-approved drug which will cost the NHS £20 million or more over its first three years on the market. These restrictions are in part caused by the pharma industry’s success in breaking new ground, with a new generation of effective, but high-cost, specialist medicines hitting the market. “There is a wave of biopharmaceutical innovation coming, with some drugs offering improvements in conditions, or even cures, the like of which have never been seen before,” says Haseeb, but he worries that many UK patients won’t benefit from these advances. He points to two major Novartis drugs already on the market – heart failure drug Entresto and blindness treatment Lucentis – as drugs which could be blocked, restricted or delayed under the £20 million rule if they were launched in 2017. 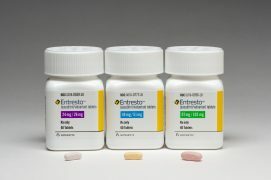 Entresto has been hailed as a game-changer in the treatment of heart failure, clinical trials showing it able to cut cardiovascular mortality by 20% and prevent 21% of hospitalisations. The drug was the first non-cancer drug to receive the UK’s Early Access to Medicines status in 2016, marking it out as a Promising Innovative Medicine (PIM), and it was approved by NICE in April last year. “If that product were launched today, perversely it may not be given early access, and could get delayed access,” Haseeb notes. Similarly, Lucentis would also have been restricted or delayed. Last year the NHS in England and Wales spent £248 million on the drug, making it the second-biggest specialist medicine cost behind rheumatoid arthritis treatment Humira. Haseeb points out that before Lucentis was launched for wet age-related macular degeneration (AMD), there was no way of saving the person’s sight. For its part, NHS England argues that spending on secondary care drugs has risen 16% every year for the last three years, and it needs new ways to control spending. As Haseeb comes to his new role from being managing director for MSD in Greece, Cyprus and Malta, comparisons between Greece and the UK – which both went through post financial crisis austerity – naturally arises. “Unfortunately, I do see some parallels between the affordability discussions in Greece and here in the UK,” says Haseeb. The austerity measures in Greece ushered in huge structural reform to the country’s economy in a very short period of time, including cost containment measures in healthcare, which took place virtually overnight. The fact remains that the UK still spends significantly more on healthcare (both public and private spending), spending 9.9% of GDP per year, compared with Greece on 8.2% (this small percentage difference translating into a significant difference in real terms). However, compared to the other countries in the G7 group of most advanced nations, the UK’s spending is currently sixth, with only Italy investing less. Amid the austerity lockdown in Greece, Haseeb still managed to lead MSD into growing its market share in the territory, rising from fifth to second in the market place. The UK’s current PPRS medicines pricing deal, struck in 2014 in the depths of austerity, was designed to take affordability off the table, with the industry agreeing a sector-wide cap on costs. The industry had hoped the pay-off for it would be faster uptake of new medicines, but this hasn’t transpired in most cases. The UK has seen various different mechanisms added to control cost and market access – including the newly-reformed Cancer Drugs Fund, and now the Budget Impact Test, creating a fragmented, disjointed system. “We need a single, simplified system in the UK,” says Haseeb, and Novartis wants to see a value-based approach at the heart of this. Even with a simplified system, funding remains an obstacle. 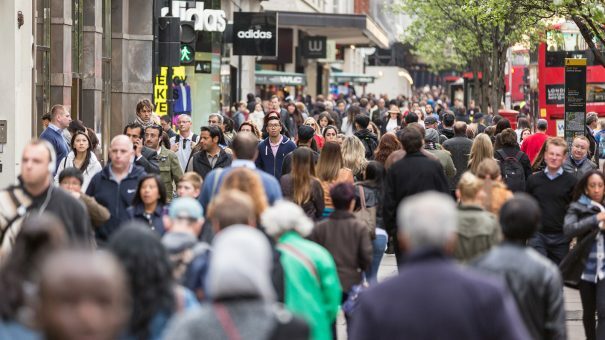 The ABPI recently set out its general election manifesto for health, calling for the UK to increase healthcare investment in line with the G7 average of 11.3% of Gross Domestic Product (GDP). However, the government looks unwilling to respond to these demands, and appears unmoved by the argument that investment in the NHS is an investment in the UK life sciences sector. Instead Chancellor Phil Hammond and Prime Minister Theresa May are unwilling to raise NHS funding, many in the current government believing the NHS is a ‘bottomless pit’ in need of further reform, and wary of increasing public spending ahead of the still very uncertain post-Brexit future. The Times newspaper recently carried on its front page the headline: Drug giants threaten to quit Britain [subscription required]. In many ways this isn’t really representative of the sentiment in UK pharma – or a likely scenario – but it does reflect growing frustration in the sector. Of course, Haseeb wants to strike a positive note, and says the only way to tackle medicines access issues is for all sides to work together. So what does that mean in practice? Novartis has a global policy of trying to shift payment for medicines towards ‘payment for outcomes’. Haseeb explains that the company is “role modelling” a shift in pharma thinking, to be part of the solution in making medicines accessible and healthcare more sustainable. “It is early days and we will all learn together as we collaborate on making meaningful change,” he states, and confirms that it wants to pioneer this approach in the UK with Entresto and the heart failure therapy area. Of course, Novartis is one of small group of big pharma companies which maintains both an innovative medicines division and a generics and biosimilars unit, Sandoz – which could allow it to present a more rounded offering than competitors. Novartis is also expecting to launch one of the most innovative new cancer therapies by 2018 – CTL019 (tisagenlecleucel-T), a CAR-T drug, which could transform the prognosis for patients with certain aggressive blood cancers. This, and other highly innovative, high-cost drugs, will make the need for a more joined-up market access solution in England even more urgent.